Can you Apply for a Grant of Probate when the Deceased left behind Two or more Wills? Drafting a will is something that Singaporeans should be encouraged to do. It’s generally good advice. However, sometimes people take good advice a little too far and end up drafting multiple wills over their lifetime. This isn’t necessarily a bad thing. After all, life happens and it may be necessary to update your will after a big life event. You may have gotten married, had another child, had a falling out with your nephew or won the lottery – all valid reasons to write a new will. However, issues can arise if you don’t destroy the previous versions of your will. An unfortunate scenario can occur whereby different two or more wills with vastly different distributions of the deceased’s estate are offered during an application for a Grant of Probate in Singapore. This is one of the reasons why competent will drafters will usually advise their clients to actively negate any older wills whenever a new will is created. Learn the basics of how to draft your own will. What Happens When Two Wills Are Offered For Probate in Singapore? Generally, if two or more wills are offered for probate in Singapore, the Court will look at the available evidence and ascertain why these two or more wills exist. Based on its discretion, it will then make a decision as to which will is valid for the purposes of the Grant of Probate. I, FICTITIOUS NAME (holder of NRIC No. S8888888Z) of ADDRESS, hereby revoke all former wills and testamentary disposition previously made by me and declare this to be my Last Will. 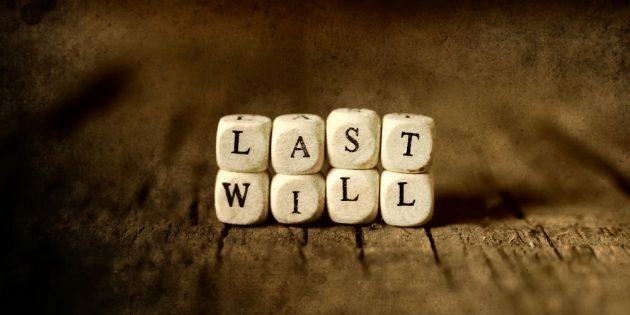 In situations like this where the two wills are validly executed, revoke all previous wills, and clearly dated, the most recent will usually be admitted to probate as long as the testator was of sound mind and there are no dubious reasons as to why the previous will was not destroyed. What Should I do if I’m Trying to Find Out if there Are Other Existing Wills? 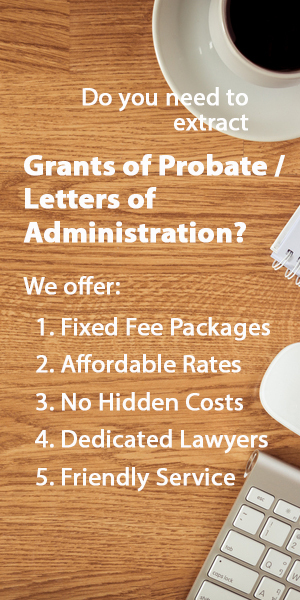 It is common for an executor to want to make the application for a Grant of Probate as quickly as possible, and there is definitely an advantage is being the first person to make an application. However, if there is heavy uncertainty over whether a later will exists, it may be prudent to enter a caveat. When a caveat is entered in Court, a Grant of Probate will not be issued to anyone else unless the caveator is notified. This will give you the time to try and find out whether there are other existing wills out there. What Should I do if there are Two Wills but Probate has already been Granted to One Will? It is possible to contest the probate by challenging the will. There is a six-month time frame to do so but it can still be possible to contest the probate beyond six months provided that the Court finds that there is sufficient reason to allow this. The allowance of this action will be at the Court’s discretion.